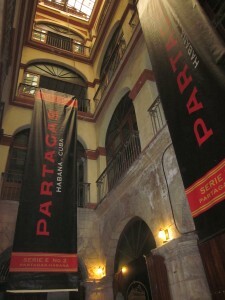 one of the best places for lovers of Habanos in Havana. it is essential to evaluate and understand them in perspective. things that usually never said or done it publicly. My thanks to Mr. Amir Saarony, friend and connoisseur of the world of Habanos and cuban rum, to have the delicacy of note this event and send me a summary of it all, which left at your disposal now. Last week I was in Havana enjoying the usual cigar and social festivities that is the week of the Encuentro de Amigos de Partagás. As in years past, it was a great time spent with old and new friends, smoking cigars, eating long meals, catching live music and of course, drinking liquid sugar. This year special treat was truly something special. Thanks to the passionate crew at Ron Santiago, a few friends and I were treated to a rare privilege, a private tasting with blend master Julio Ayan (who was brought in from Santiago for the tastings).The first tasting took place in the V.I.P. lounge of the LCDH Partagás and was a lesson in history and culture accentuated by a wonderful tasting of the 20 year old Rum Santiago. Sr. Ayan, and Jorge Cardoso ( Export Director of th e brand ) entertained and educated the 8 or so of us in the 150 year history of light rum and the tradition of rum production in Cuba. 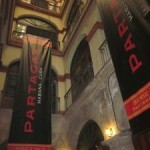 The second tasting, in the atrium of the Partagás factory was a vertical tasting of the 11, 12, 20 and 25 year old Santiago rums. I would like to thank everyone involved in creating this special event for my friends and myself. As Ayan told me himself, this is not my job, but a passion, a life. Their passion was evident in every word, and likewise, in every drop. The age on the label is the minimum age of the rum in the blend. The rum is aged in American White Oak barrels, periodically blended and put into new barrels for the duration of the aging. 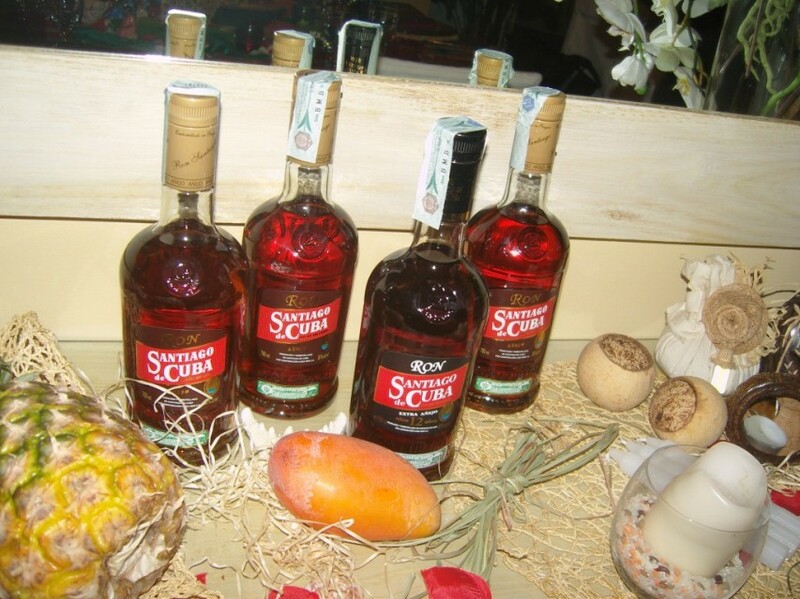 The rum is aged naturally, no solera. This rum, along with Caney and Varadero are create d in Ron Santiago distillery, at the location of the old Bacardi factory, open in 1862. In the 1930’s Bacardi tried to reproduce the rum they were creating in Puerto Rico and Mexico in order to be closer to some of their markets in the states but were unable to recreate the characteristics of Cuban rum offshore. There are no recipes or blends from before the revolution in use, all the blends were developed post revolution and are a constant evolution under the guidance of Sr. Ayan and his predecessors. The goal of this journey was not solely to taste rum but to try to make recommendations as to which cigars we believed would best be paired with each. As we know taste is personal and subjective. The notes and recommendations are based on my opinions and comments and those of the other participants. they were born 150 years ago. This rum has a rich caramel colour and the aroma of caramel and slight vanilla. There is a bit of heat when the rum is in the mouth with sweetness permeating the aftertaste. 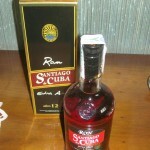 This rum is not exported and available only on Cuba. The heat from this rum will balance well with a full bodied, even spicy cigar. In my opinion the ideal would be either Partagás or Bolivar. This is a new blend based on the solicitation of a French importer. I was very surprised at the dramatic difference between this and the 11 year old. The colour was slightly darker yet very similar to the 11 year old; the aroma drier and less sweet, with a hint of coconut and vanilla. 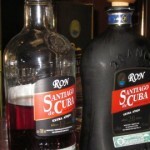 In the mouth this rum is softer and drier than the previous with less heat upon drinking. consecrated to serve exquisite companion as an exceptional product like Habanos. It can accompany most cigars from full strength to medium. My recommendation would be something along the lines of a Montecristo or Hoyo de Monterrey. Production is limited to 4,500 cases of 6 bottles. At this point we are experiencing a whole new world of rum. The colour is extremely rich burnt caramel with a hint of redness when held to a light. Very brilliant tone. When swirled in the glass one witnesses long lasting legs that would be the envy of most wines. The aroma is of sweet caramel, coco and cream. Almost reminds one of tiramisu. The nose is exposed to fruitiness and a tremendous balance of enticement. The dry glass holds the distinctive aroma after half an hour and we are told will do so for 24 hours. Even in the dry glass the aroma is distinctive enough to identify the rum after it is drunk. The taste is rich and well rounded. You can sense the molasses and the aftertaste is long and sweet. 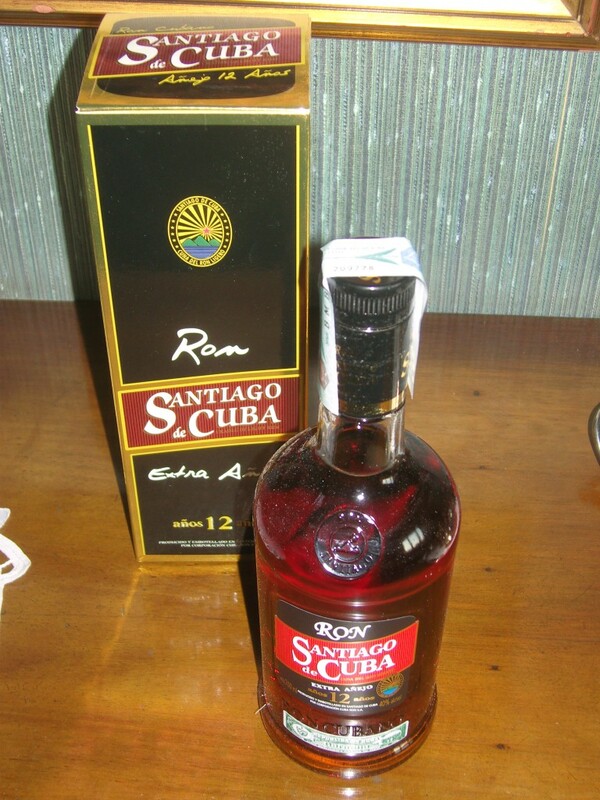 This rum was created to celebrate the 485 anniversary of the founding of the city of Santiago de Cuba. Therefore, and special meetings, it was decided to bring to light, one of the best Cuban light rum reserves, one of those who are dedicated to unique and exclusive event, where it is necessary to have available a special product, other than everything and extraordinary quality. Honestly I think it’s one of the best things that has ever tasted. This rum is very limited in production (3,000 cases of 6) and deserves the smoothness of a Cohiba, specifically the BHK series. 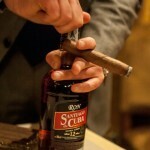 I would not pair this with a full bodied spicy cigar as it will ot allow the subtlety of the rum to shine. Offered a rich and deep burnt caramel colour and aroma. This rum is very delicate and refined. The nuances tease the palette long after the rum has been swallowed. To say this rum has legs on the glass is an understatement. It appears to leave the glass completely coated when swirled. This is a rare delicacy with production limited to 2,000 cases of 4 bottles each. 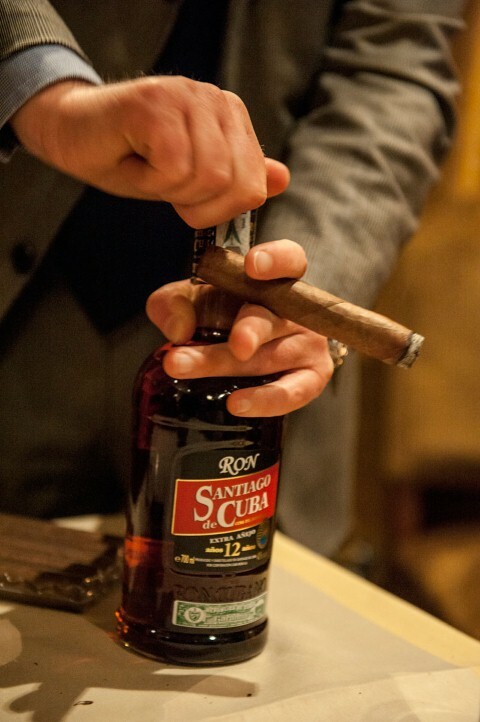 Such a special rum deserves to be accompanied by a special cigar. I cannot think of any new cigar that would not deter from the experience. Two cigars immediately came to mind: Trinidad Fundadores from 1998-9 era, and the La Gloria Cubana Medalle D’Or No. 1 from 1997-8. Regardless what you choose, it will have to be a complex delicate cigar. In my humble opinion, the honey notes of the LGC would be a superb compliment. of the founding of the city of Santiago de Cuba. special as any, is something I have to thank and so I’ll feel lucky lifetime. City of Havana. November 2012. A simply an unforgettable day. 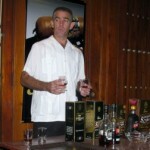 One Response to "“Vertical tasting rums Santiago de Cuba„"